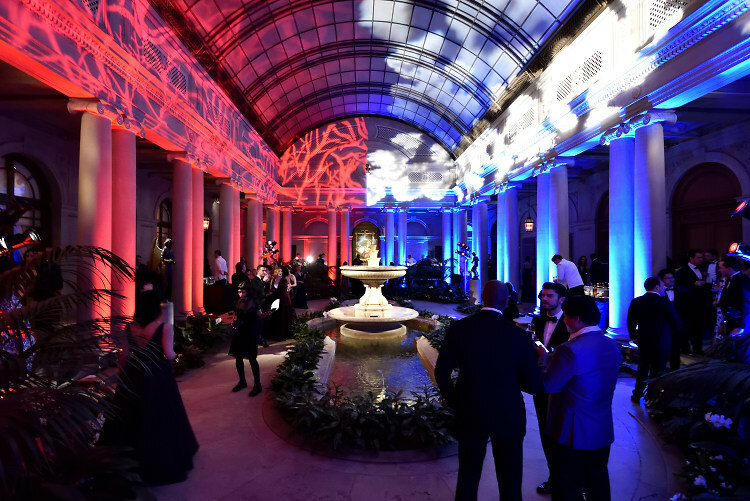 There's a little light and dark in all of us, but last night socialites, fashionistas, and cool kid philanthropists chose a side - and made it look glamorous as hell (or heaven). 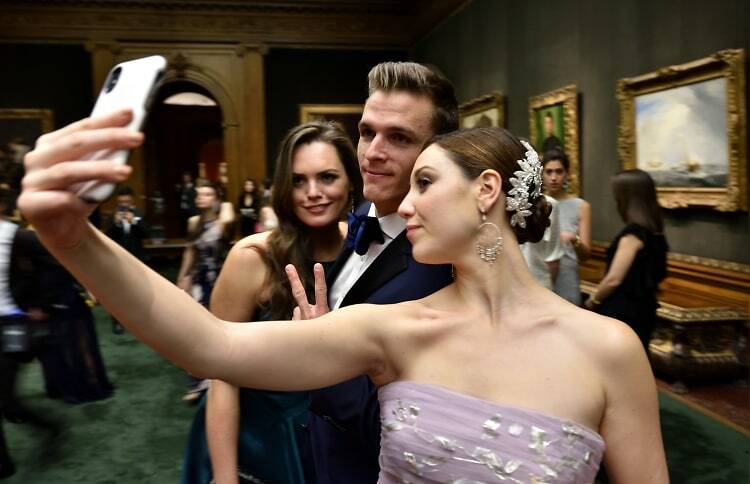 The annual Frick Collection Young Fellows Ball is the highlight of New York's social calendar, and this year, hosted in partnership with ESCADA, it was as chic and buzzy as ever. Everyone who's anyone on the circuit was there; seriously, we can't remember the last time we bumped into so many familiar and fabulous faces. To highlight the evening's cheeky theme, Virtue and Vice (inspired by Paolo Veronese’s Choice Between Virtue and Vice from the museum’s permanent collection), the Frick's always-Instagrammable garden court was lit up red and blue - one side boasting a projection of thorns, and the other glowing with angelic clouds. While that was certainly a sight to be seen, the evening's young attendees were really the ones worth looking at. Devilish guests tapped into their dark side wearing black and red, while more virtuous patrons opted for stunning pastels and florals. 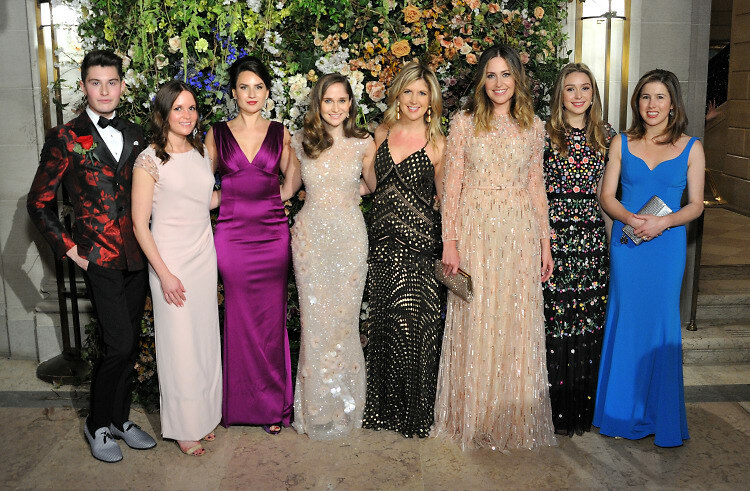 Chairmen of the event, along with selected guests including Stephanie Nass (Chefanie), Arielle Patrick, Sarah Flint, and Amory McAndrew, wore gowns by ESCADA. According to the brand's recently-appointed Creative Director, Niall Sloan, dressing the A-list attendees according to the theme was a fun, collaborative experience. "There is a fine line between virtue and vice! The incredible women that we dressed really made each gown their own. A pale pink gown with floral embellishment became a bit edgier with the addition of a crown of thorns. The woman makes the dress so we gave them choices to decide how they wanted to reflect the theme." As for his upcoming debut collection? Sloan says, "I am so lucky to work with a brand that has such a rich heritage. For my first collection, I really embraced the spirit of our founder Margaretha Ley, using bold color and intricate detail. In addition to allowing women to showcase their confidence and joie de vivre, I am anxious to find initiatives that truly support women and celebrate their strength." With free-flowing champagne, cocktails provided by Tito's Handmade Vodka and Johnnie Walker, and an epic dance party in the elegant-turned-turnt Music Room fueled by the tunes of DJs Timo Weiland and Nicole Rosé, a debaucherous time was had by all, no matter which side they picked. Let's just say we've been suffering for our sins a day later. Click through for all the best dressed guests of the evening and go HERE for more photos of the bash by Stephen Smith.